In a significant development in the fraught Pakistan-India relationship, leaders of the two countries exchanged messages on the eve of Pakistan Day. Prime Minister Imran Khan on Friday evening said he had received a message from Indian Prime Minister Narendra Modi in which the latter extended "greetings & best wishes to the people of Pakistan on the National Day of Pakistan". "It is time that [the people] of the sub-continent work together for a democratic, peaceful, progressive & prosperous region, in an atmosphere free of terror and violence," Modi said in the message, according to a tweet by Prime Minister Khan. 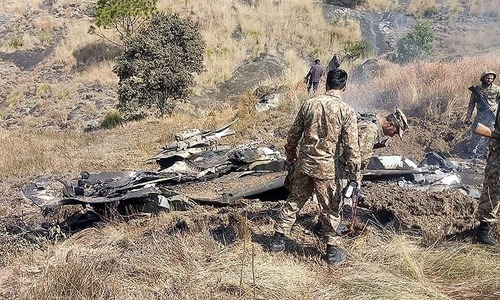 This is the first overture by India since the February 14 Pulwama attack, following which the nuclear-armed neighbours came to the brink of war. In a subsequent tweet, Khan welcomed his Indian counterpart's message, saying it was now time to begin a "comprehensive dialogue" with India to resolve all bilateral issues. "As we celebrate Pakistan Day I believe it is time to begin a comprehensive dialogue with India to address & resolve all issues, [especially] the central issue of Kashmir, & forge a new relationship based on peace & prosperity for all our people," the premier wrote. 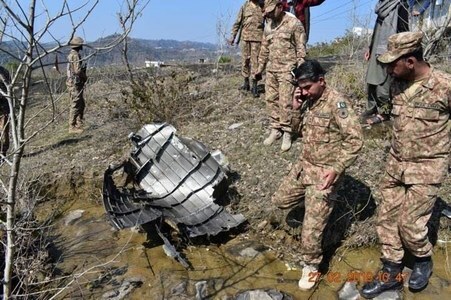 The tensions de-escalated after Prime Minister Khan decided to release the Indian pilot as a peace gesture, and following concerted diplomatic efforts by countries including the United States, China and the UAE. The Indian government, which is seeking re-election in next month's national polls, had responded to Islamabad's peace gesture and offer for dialogue with effective silence. Modi believes in gaining cheap popularity. Here is another example of his imbalanced personality. good message to work towards peace. start by stopping the killing of kashmiri people. thank you. Thanks, but we will NEVER accept the Indian occupation of Kashmir, EVER. Congress will now say that he’s apeasing Pakistan and indirectly targeting Muslim vote in India . It’s a start. More needed. A good step on part of PM Modi which should be reciprocated with a good will gesture. I hope he realized that peace is the way to prosperity for both nations. The amount of money used to buy weapons can be used to fight poverty, a win win situation for both countries. And it will start by Modi and his BJP party members along with RSS stopping to thump their chests, make hawkish statements about and blaming Pakistan for all their problems just to win elections. They need to learn to win elections on substance as opposed to making Pakistan a scapegoat. Now he has decided to ride Imran khans back to win the election. There is no end to his hypocrisy. We dont need good wishes of a war monger. Mind your own business modi. We love indian people but not extremists be it on any side of the border including mr. Modi. Excellent. All neighbors should live with love, peace and harmony. War is never a solution to anything. Dialogue is the way forward. A good start provided Modi Ji is sincere. Let’s start by stopping atrocities being committed by Indian soldiers in occupied Kashmir. He cannot make his mind up lol! What is this love hate relationship. Let us hope Modi would not deny it in a few days time. Hope the Government of India and Pakistan works to towards peace and prosperity for the citizens of both countries. Now Modi needs to out his words into action and get into the practical mode to make it into a reality. Otherwise, good wishes, hopes, aspirations and dreams are just that, impractical. Conceive a good idea, createba blue print to conceptulize it and work to achieve the desired results. Modi can never ever be trusted. He has shown his true colours to Pakistanis, as he had almost ordered missile attacks on our people. Does that include people of Kashmir too? who are living under terror and violence of Indian state sponsored Army for past 70 yrs; oh and what about Kalboshan? Imran is making strides in foreign policy initiatives. Communication is the key to peace. No sincerity; just attention grabbing effort. don't respond to this butcher!! What? Is he in his senses? Does he (Modi) means it or just saying it because that's what you say on such an occasion? It was a media war. Vast majority people from both sides don’t want war. Thats a very positive improvement if he "meant" that! Well, I see an opening for both government to extend this into a meaningful dialogue. Well timed greetings from Modiji to Imran Khan. He says from his heart. We hope it is a beginning of a good relationship between the two neighbors. The opposition parties who believe that what Modi did recently against Pakistan is to win votes, are proven wrong. At this time of election, his followers would not have expected a positive gesture from Modi towards Pakistan. But, he is a statesman and a bold leader who will do anything which is in the best interest of India. Proud of you, Modiji. Modi is confusing everyone and a double speak. Anything else? The man does not emanate honesty. Be wary of anything that comes out of his mouth. I guess someone is looking for some love in Pakistan. He’s being hated in India by Rahul G.
Modi should implement on peace talks. Act upon what your saying. BJP will not discuss Kashmir matter. No way forward from running away from possible solutions. Modi is playing liar liar. That is the way it works - Politics.!! What made him send a message of peace.... this is very much un-modi style as he only talks about hate and war. Modi-fied Behaviour Let's hope it's sincere! Now I expect from PMIK to walk two steps. Modi failed to impress the voters with his aggressive narrative and now his strategists want him to be peacemaker but I do not trust this man until Indian elections are over. Now the ball is in PM Imran Khan's court. Hope he will play fairly for the benefit of viewers of both the countries. Good gesture, let’s hope IK reciprocates. Let's hope sanity will prevail and Pakistan and will resolve their differences peacefully. All energy will be diverted to fight against poverty ,hunger,disease and illiteracy instead of money wasting on Arsenal's. PM Imran Khan, be careful of Modi, he cannot be trusted at all. I hope Modi means it. Good progress. Hope these gestures bring come concrete peace and prosperity for people of South Asia. Modi's message is a sign that India is planning another adventure. I will not buy into it and stay alert. After a month and a half King Modi has decided to contact Pakistan. I suppose it is better late than never. Wow! Let’s break the barriers of hatred and misunderstanding, Mr. Modi and Mr. Khan are intelligent and exceptionally forward thinking leaders, I’m hoping this is the start of a prosperous India and a prosperous Pakistan! One step at a time! This is a good news for Rahul. It would support his stance to normalize relations with Pakistan and might improve his ratings in polls. Frankly speaking, I am sceptical about the Modi's message and would like to see how Modi reacts to PM Imran Khan's invitation to have meaningful dialogues relating to Khasmir's issue, because, without a satisfactory solution, there will be no peace in the region. Ball is now firmly in India's court! (Gharib Awam ki Awaz). Thank you but when modi talks 'war-war' or 'isolation' then your gullible lot falls for it too! This is the first step towards virtual unification of region where people's hearts and minds have always been unified since partition of the Subcontinent. Somehow I don’t trust him or trump .. suddenly 360 degree turn from both leaders. Something is brewing or I might be over cautious. We wish the people of India nothing but peace and goodwill. Good if Modi means it as so many times the Indians have back tracked on their word! Imran Khan and Pakistan don't have to trust this guy......he is coached by Israelis ! Modi you are betraying indians. @Naveed, stupid, Modiji is winning by huge number of seats because of his hardwork and corrupt free govt. @Dr. Salaria, Aamir Ahmaod, "What else can he say?" Modi not IK level of intellect and humanity. Not same calibre or class. Congress Rahul might be better to deal with for peace. Pakistan is not going to trust him. Modi might be planning another false flag operation. He violates our airspace, fallaciously blames pakistan for pulawama attack result of Indian attrocities in IOK, his armies are lined up on the border, he is buying more missiles for the army, then he sends this cryptic message. Sincereity is shown by deeds and actions not words. PM IK response was statement like and on target. 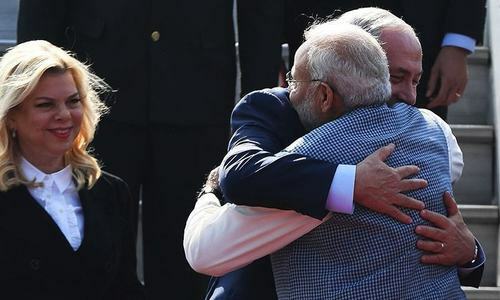 There is no love lost between Mr Modi and Pakistan. All this is because Indian Airlines and economy is losing millions of dollars every day. The Pakistani government should play its cards right and not give in to his gimmicks. These are empty words, he does not mean it. I believe we should not read too much into it. His arrogance and pettiness are boundless. Actions are more important than empty words, Modi Jee! If it is real it will be awesome for common men on both sides. Truth will come out after elections. War to peace in few weeks! true leader or a drama artist? @Sab Se Pehle Pakistan, Spare a thought for kashmiris in IOK under brutal foreign indian occupation. Well done imran khan..your sincere efforts for peace has dragged modi to the table now. You are a true leader imran and we pakistanis are proud of you as our PM. Thanks to PM Modi and best wishes to his party & people of India. Let’s proceed forward and in unison fight the poverty, fight all those who create apprehension among us,fight all those who never like two neighbors in friendship. Mr Modi, if you really mean it then As a goodwill gesture, send indian cricket team to a pakistani visit. We will be the best host for them and we will start a new era of peace and friendship and live in harmony. Khan Sb. Lets not jump the gun here. Words may change but nature does not. The gesture of the Indian PM should be taken positively. Modi jee now start dialogues with the Kashmiris and Pakistan . His words cannot be taken seriously. 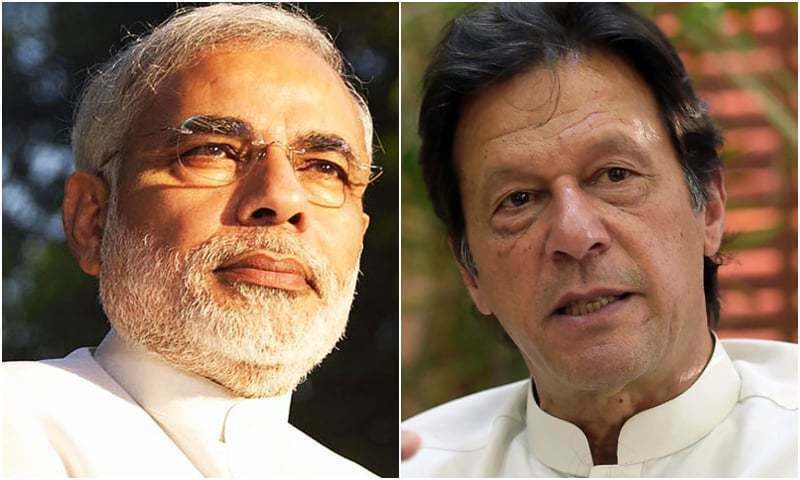 After having tested the principled word of Pathan PM Imran Khan Narendra Modi has finally reciprocated? Modi, what a snake you are, just weeks ago you was threatening to teach Pakistan a lesson and sent jets on a bombing raid! Expect us to believe that you have had a change mind? This man is pure evil and should never be trusted. You nailed it. I agree with you. Another tactic to get cheap popularity before election. I think Pakistan should say that better relationship only when Kashmir issue is resolved and India to stop spreading propaganda against Pakistan. Pakistan wants better relationship but do not want political game by cheap politics of Modi, and Pakistan can defend itself. I think only peace between us will bring prosperity for our future generations. It's time to move forward towards peace. Great gesture by both leaders. Both countries should give up kashmir and let the people of these great nations enjoy their lives in peace they deserve. Madness should end now. Air space closure working.. Modi on his knees. @NK, Modi is Modi , talking from the position of strength. Pakistan must not open its airspace, for which Modi is now begging. Common sense is great but it is not very common.I hope common sense will prevail. Core issue stop killing of innocent Kashmiri people and give then right to Vote and let them choose there future. India has been thouroughly defeated once more the fifth time. So now Modi is wanting to please PM IK. Elections 250 million Muslim votes are crucial to his stay in power u figure? @Frank, Kashmir is integral part of India and will never change. Wake up. Modi is India’s Trump. Too dangerous! Either you’re going to send war planes into our territory and make false claims or you’re going to extend best wishes to people of Pakistan, you cannot do both. Whatever strategy you’re working on is not being taken lightly. That’s a quick change of tune by modi? Well I'm not a fan of this guy Narendra Butcher of Gujarat/Kashmir but still I say thank you as forgiveness starts at home. Lot of love you India, love you so much dear brother. @Adnan Mazher Khan, why did IK tweeted and not Modi? Did you ask that question? Its a good gesture from Indian PM. This message does not mean anything, Modi is a lier and can never be trusted. How about IK taking actions against the known terrorists roaming freely in Pakistan? That will be a great gesture towards peace! @Alok, That’s what many Pakistanis said about East Pakistan in 1970-71. You just can’t keep people enslaved in this time and age for very long. @Adnan Mazher Khan, : Ignorants like you can only make such comments. Take every message and step of Modi with a pinch of salt, just because they are sending lovey dovey messages does not mean they aren't planning a retaliation somewhere in Pakistan. We must stay vigilant. Modi ji should not have congratulated on Pakistan day? If he has done this, means he wants peace. Pakistani Awam should take it positively. I appriciate your hard work i wanna tell you without reading your blog i don't sleep please keep sharing these type Good Morning Quotes on your blog. thanks for making our day.